For my birthday party back in April (yes, I'm a bit behind with the blogging...) I wanted some kind of cupcake that said "party" which to me meant cocktails! I have the Xanthe Milton book "Eat Me" and she has a recipe for White Russian cupcakes which I thought sounded pretty cool. White Russians are made from vodka, coffee liqueur (so I learned - I always thought it was chocolate) and cream, and this recipe doesn't exactly use those ingredients but does give the same sort of flavour - and a bit of a kick! As the party had a shoe theme, I bought some cute shoe-patterned cupcake cases over the internet; this isn't the best photo but you can just make out the design! Add flour and baking powder, then some Kahlua - which I always thought was chocolate liqueur but apparently it's coffee. I didn't have any of that, and I preferred to use chocolate anyway, and I did have some creme de cacao liqueur (which is a clear liquid) and a thick, syrupy chocolate liqueur that I bought in Rome. I decided to add equal quantities of both in place of the Kahlua. To go with the shoe theme I used a small cookie cutter to cut shoe shapes out of Mexican paste to use as cake toppers. I also made the buttercream according to the recipe, which is a mixture of icing sugar, melted white chocolate, sour cream and the chocolate liqueur. It had a bit of a kick but not too much and tasted really nice. I piped the buttercream onto the cupcakes and placed a shoe on top. I'm blaming the fact that I can't find many photos for this recipe on the fact that it has taken me over two months to blog - that will teach me! This month's letter for Alphabakes, the blogging challenge hosted by me and Ros from TheMoreThanOccasionalBaker, is W, so I decided to make these White Russian cupcakes my third entry for this month! 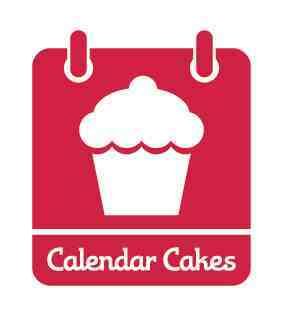 I'm also enjoying taking part in Calendar Cakes, hosted by Laura from Laura Loves Cakes﻿ and Rachel of Dolly Bakes. Their theme for this month is the Olympics and amongst other ideas, are accepting entries relating to the different countries entering teams in the Olymics. And we all know how good the Russians are at winning medals, so I'm going to send them my White Russian cupcakes. I'm updating this to send it to Baking With Spirit, hosted by Janine at Cake of the Week, as her theme this month is cocktails. I've got Xanthe Milton's Eat Me - great book, isn't it? I must have forgotten about these cupcakes though, so I'll have to look them up. They sound fabulous! I'm a massive fan of the drink so hopefully I'll also be a massive fan of the cupcakes. My favourite recipes from the book are the Strawberries and Cream cupcakes and the Triple Chocolate Cookies - always a winner! These sound gorgeous and I love all the shoes. Oooh I remember these cupcakes - yum! :) Great entry for AlphaBakes! These look great! I expect the addition of Creme de Cacao makes them taste even better than if the coffee liqueur were used. I bet they went down well at the party. Thanks for updating this for Baking With Spirit! Alphabakes - our first giveaway!